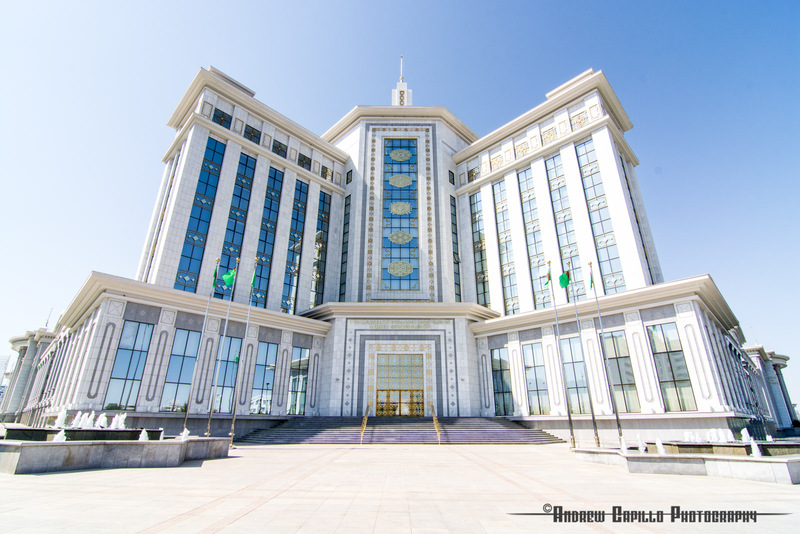 In Ashgabat's walls I ween. 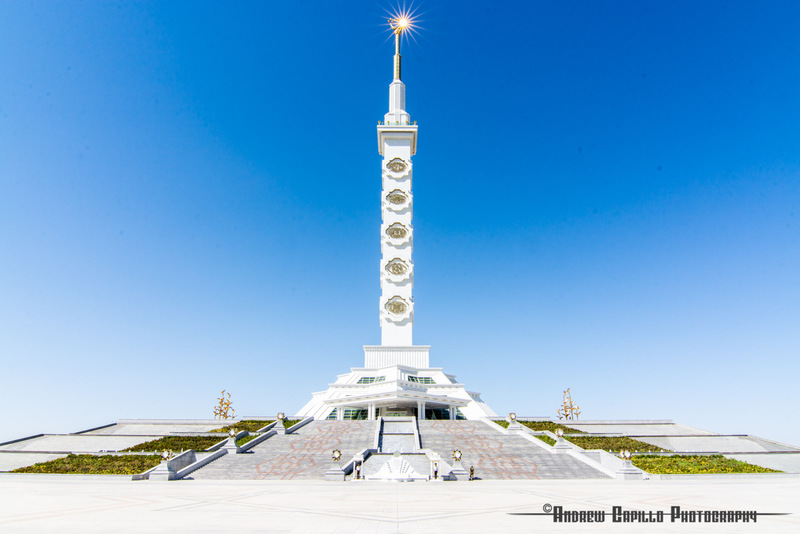 Or towers of white I've seen. The streets are eerily empty. 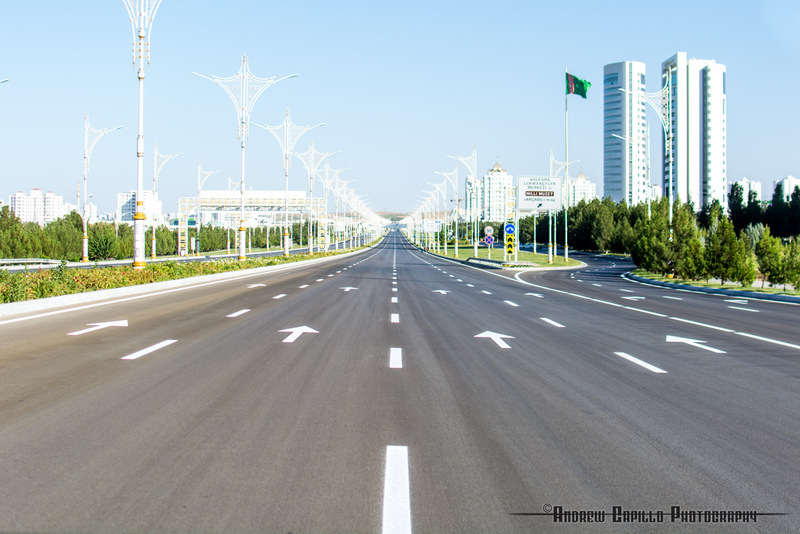 Freshly painted streets lamps in white and gold stretch in interminable ranks where they stand guard over deserted ten-lane roads. Ghostly bus stops open their silent, automatic doors to sterile, white rooms. 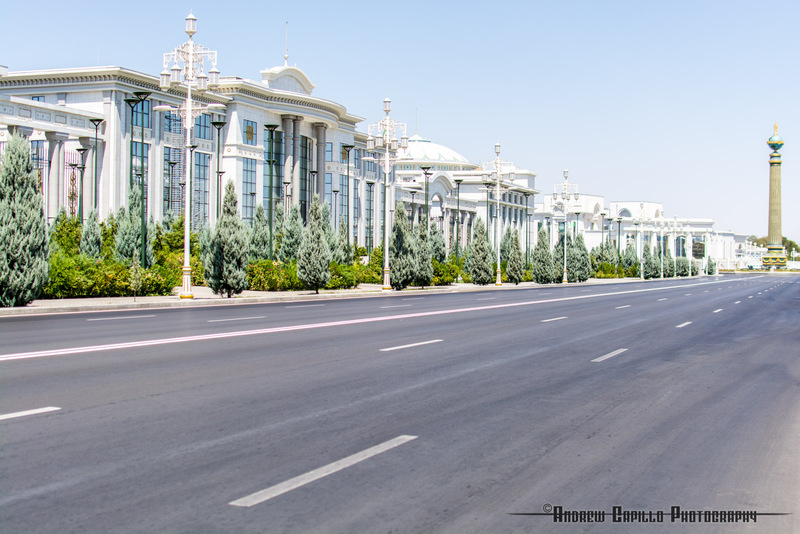 Grand and ornate government buildings peer out over sidewalks bereft of life, human or animal. 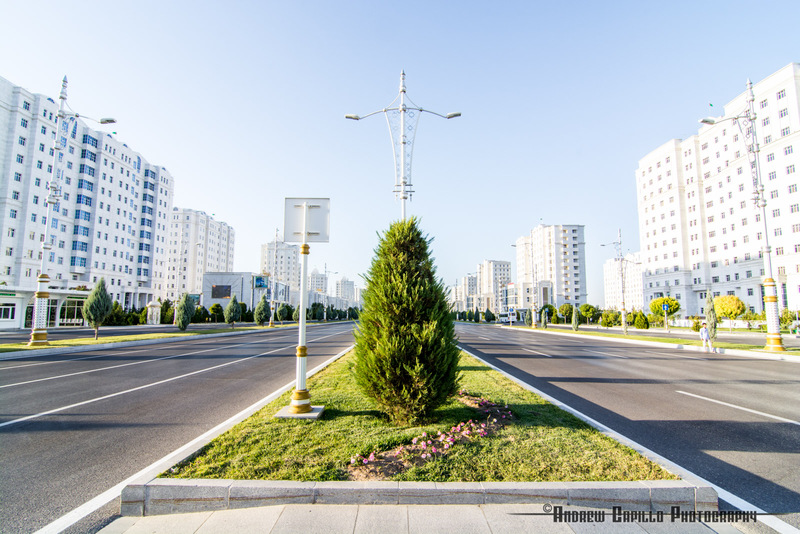 Empty alabaster apartment complexes rise up like white stalks of wheat. 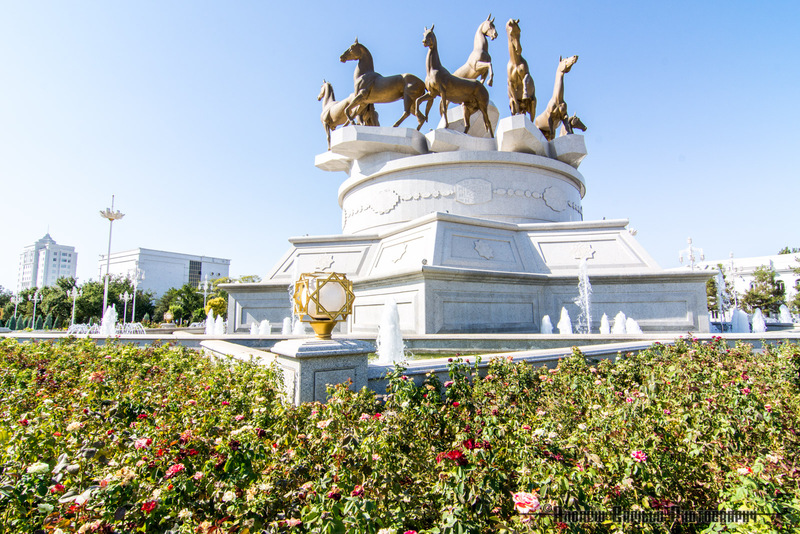 Colossal marble monuments preside over huge green parks while apartments in the desert city go without water. There are no storefronts or restaurants amidst the sea of public buildings, nor are there tourists, only 8,000 of whom visit this city every year. 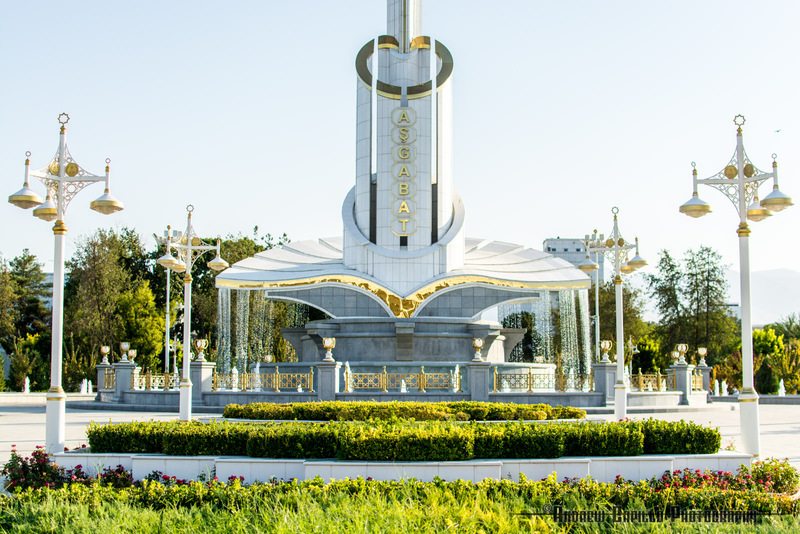 This is Ashgabat, the capital of Turkmenistan and an open-air museum to the extravagant impulses of one of the world's most bizarre dictatorships. 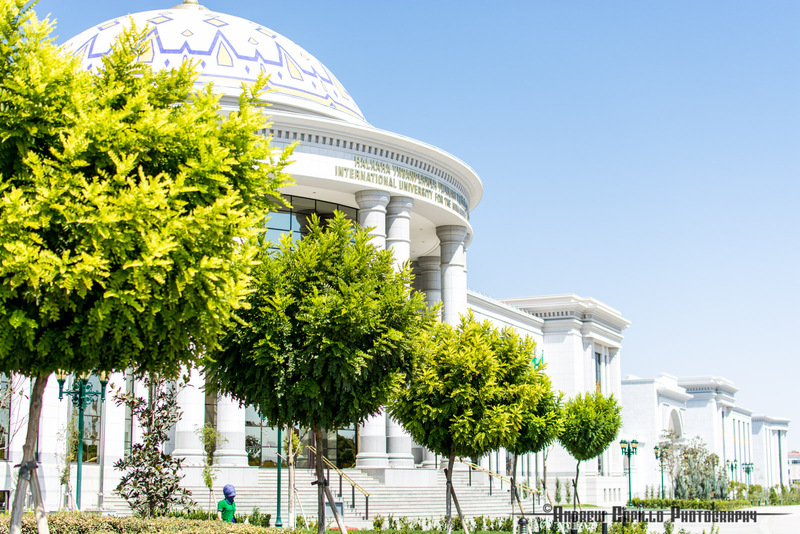 Ashgabat holds the Guinness World Record for the city with the highest density of white marble buildings. The entire precisely regimented city is garbed in white and emblazoned with gold. 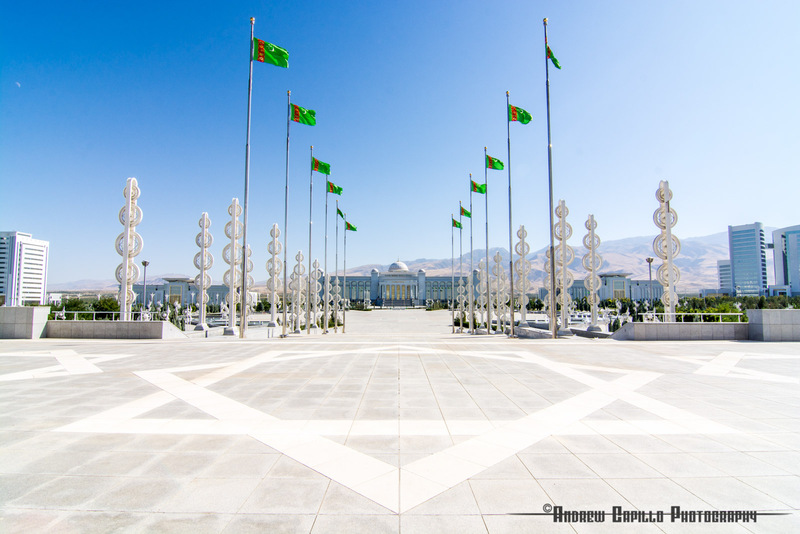 The vast empty squares betray an obsession with the rub el hizb, the eight-pointed Islamic star, and the spotless facades of palatial edifices trumpet the nation's five carpet designs that decorate the Turkmen flag and represent the five regions of the country. Symbolism is a useful tool for dictators that seek to obfuscate the flexing of their own egos with national pride. Here fountains and statues occupy spaces that would have given way to lively pedestrians and street-food vendors in other cities. 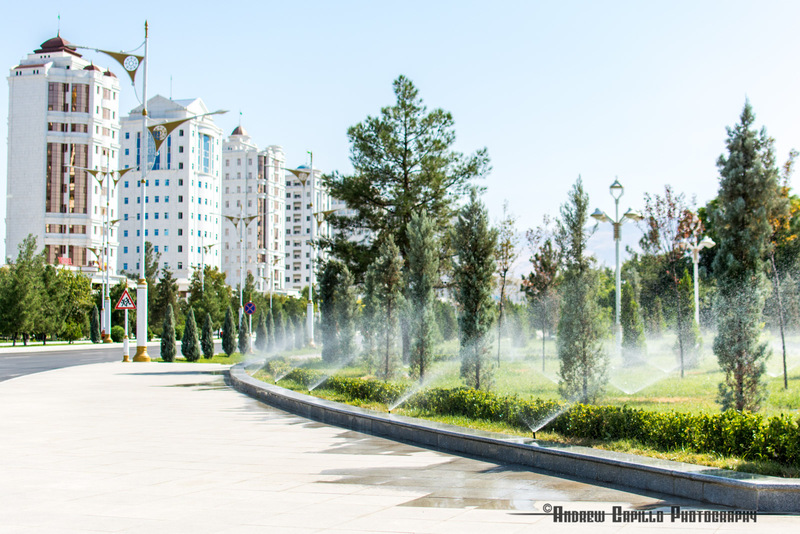 The city even holds another Guinness World Record for having the greatest number of public fountains, a feat that it less impressive when taken in conjunction with the country's ranking as the ninth most water insecure nation in the world. The city as it is today is an authoritarian playground shaped by the two dictators the nation has had since achieving independence in 1991. 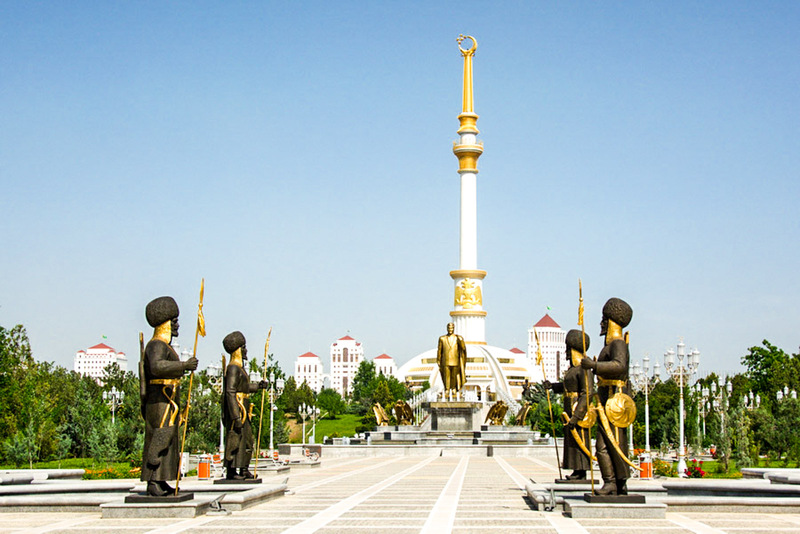 Amidst the carefully manicured parks and pristine pathways, a golden statue of Turkmenbashi strides above his city in a business suit with his long cloak billowing behind him. 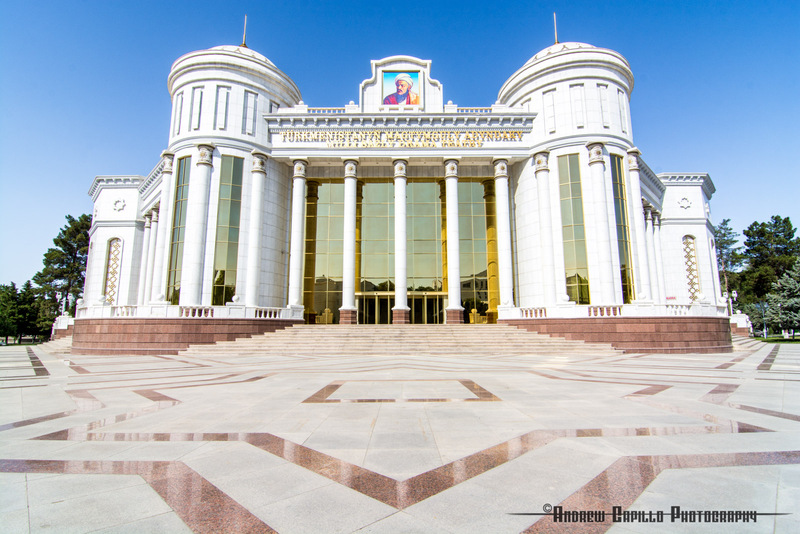 President for Life up until his abrupt death of heart failure in 2006, Saparmurat Niyazov had an effect on the country that has far outlasted his reign. 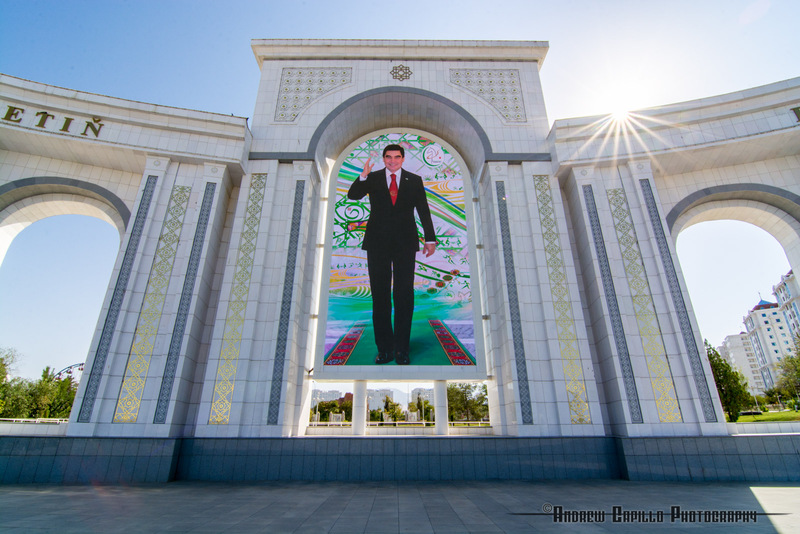 The founder of one of the world's most authoritarian regimes, Niyazov styled himself Turkmenbashi, "Father of all Turkmen," and built up a cult of personality to rival any religion. Known for his invasive and capricious decrees, he banned such things as beards, long hair on men, ballets, video games, lip syncing, golden teeth and playing recorded music at weddings. When he had to give up smoking following heart surgery, all of his ministers had to do the same, and he banned smoking in public places throughout the country. 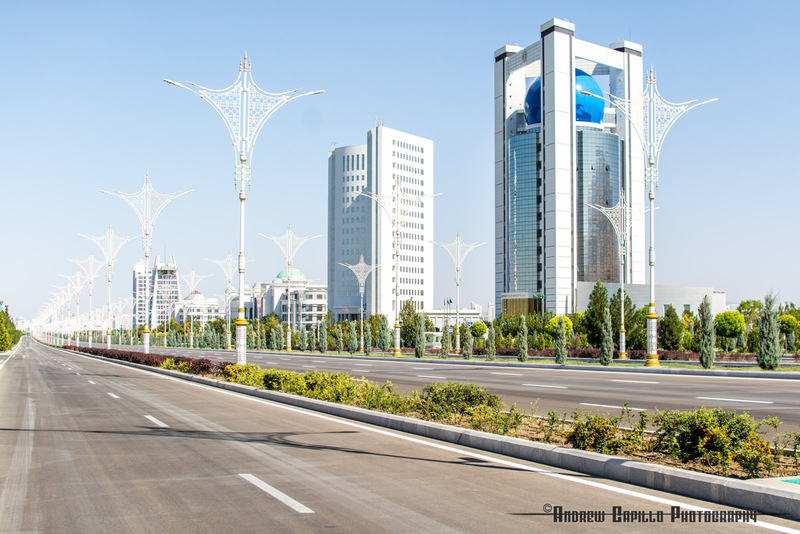 Niyazov used the world's fourth-largest gas reserves to forge his luxury capital while his country's population of five million starved. The average income is less than $50 a month, and while some things like housing and fuel are inexpensive or free, education is a luxury. 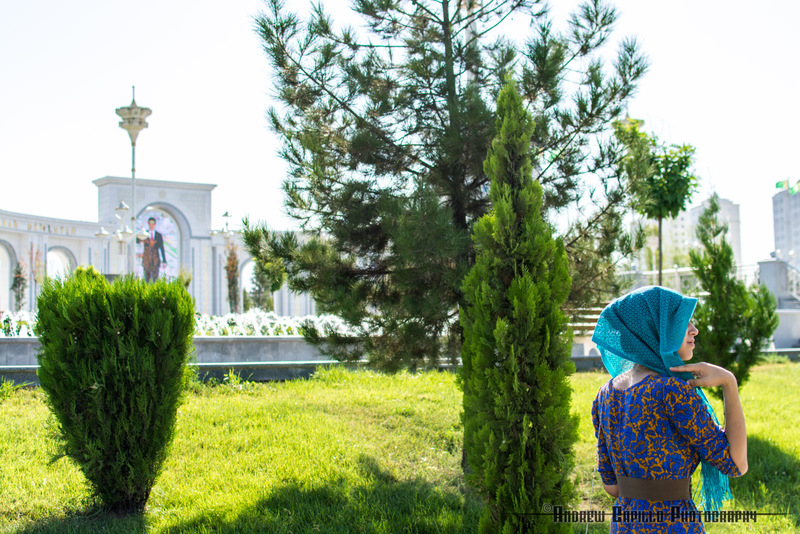 A modest man, Niyazov commented once that he was personally against seeing pictures and statues of himself everywhere, but "it's what the people want." 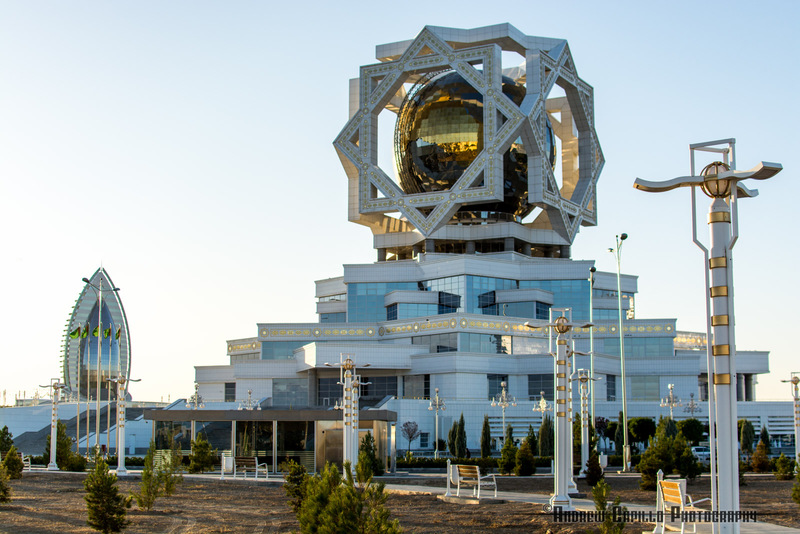 As testaments to his eccentric reign and unlimited financial resources, outlandish and fantastic monuments dot the desert. 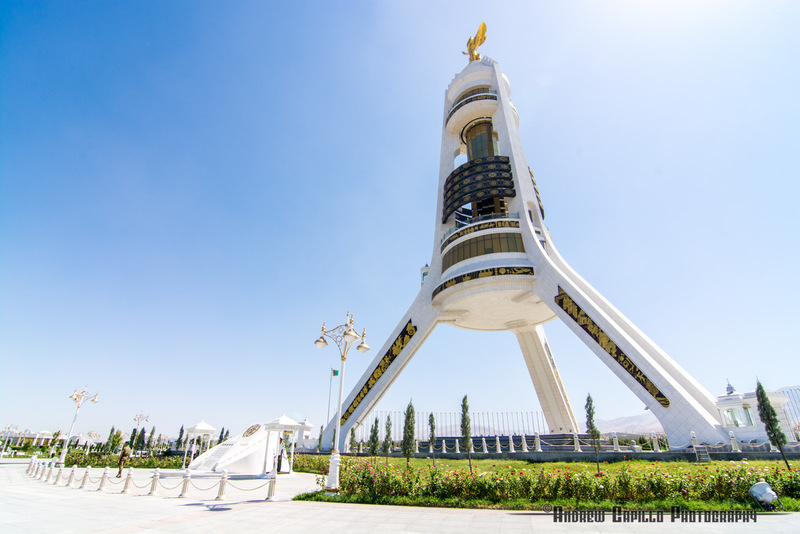 While he was in power, a 12m-high golden statue bearing the president's likeness stood in the center of Ashgabat atop a giant three-legged arch called the Monument of Neutrality. 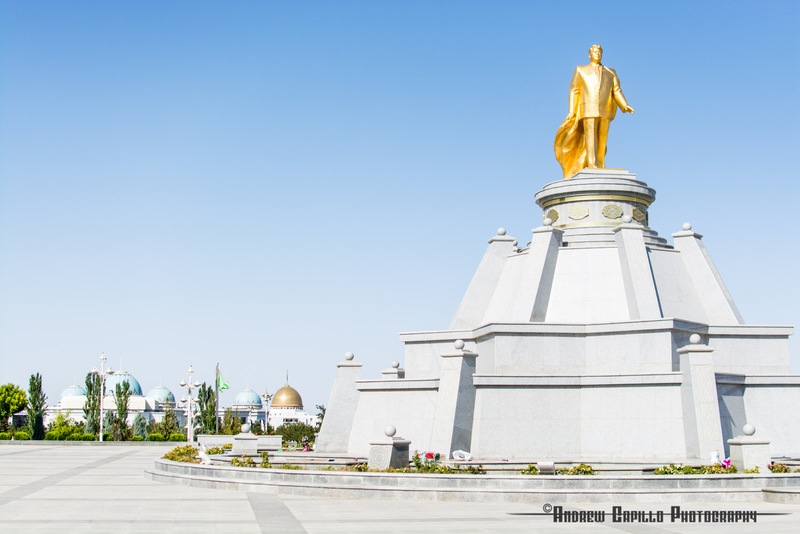 Perhaps the most defining symbol of his authoritarian regime, the statue rotated so that it was always facing the sun. 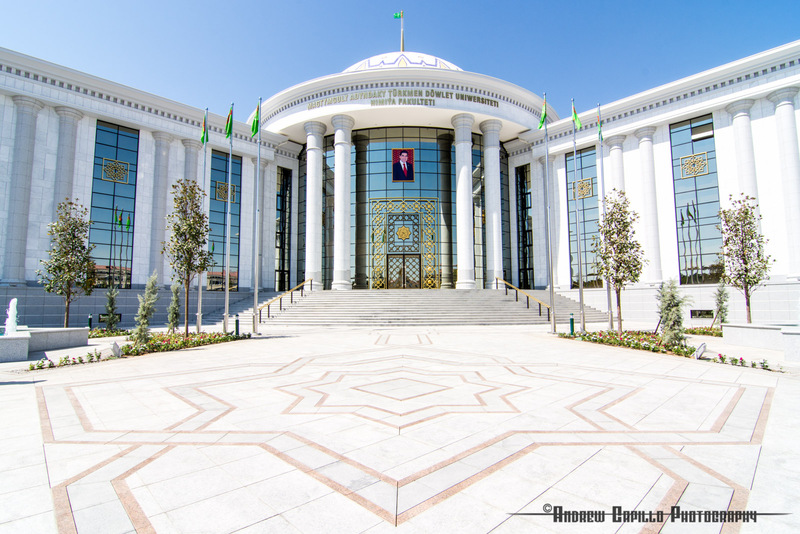 Not satisfied with simply being able to control every detail of the lives of his citizens, His Excellency Serdar Saparmurat Turkmenbashi the Great changed how they speak and think. 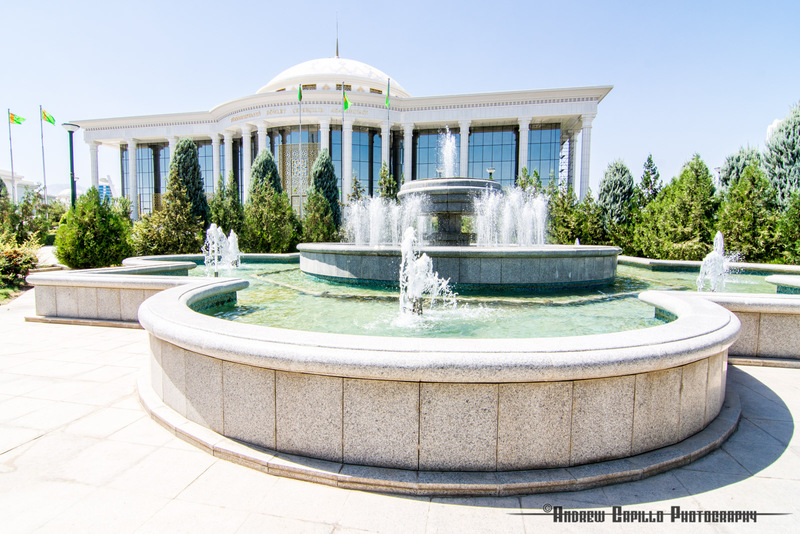 He renamed the days of the week after his children, the month January and the city of Krasnovodsk "Turkmenbashi" after himself and April and the word for bread "Gurbansoltan" after his mother. His semi-autobiographical spiritual book, the Ruhnama, was required reading for students, job interviews and anyone wishing to take their driver's test. Unsurprisingly, his two decades in power were also marked by unprecedented human rights abuses. Imprisoned political prisoners who survived the regime speak of how they expected physical torture, but were unable to withstand the unexpected torments, like watching their innocent family members being beaten before their eyes. 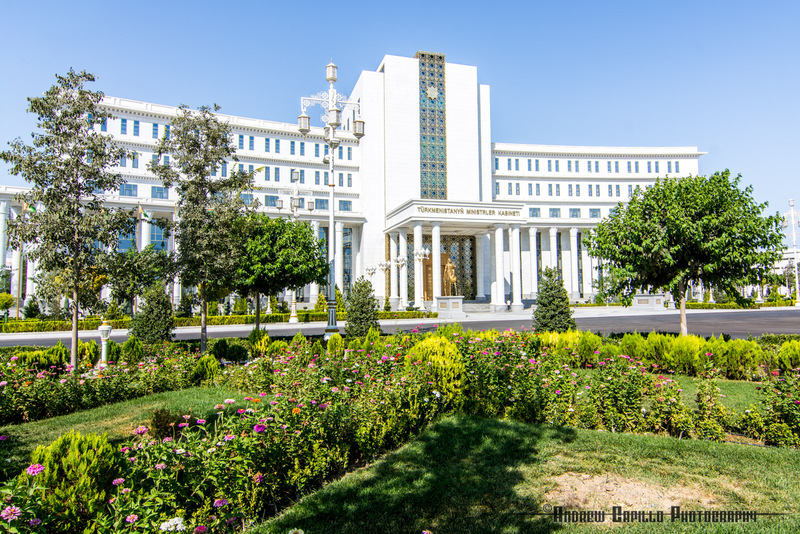 His successor, an ex-dentist and the current president, Gurbanguly Berdimuhamedow, nicknamed Arkadag ("Protector"), immediately began rolling back the more bizarre excesses of Niyazov's cult of personality. 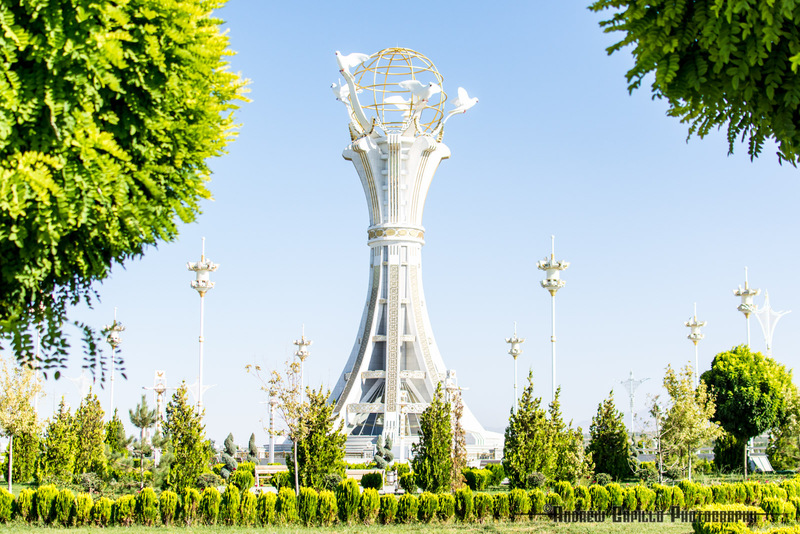 The Monument of Neutrality, the $12-million 75-meter tower built in 1999 to commemorate the country's spurious honor of becoming the first neutral state in the world, can still be viewed in its new location on the outskirts of the city, though the golden statue no longer rotates. However, on the human right's front, the current regime has made little progress. 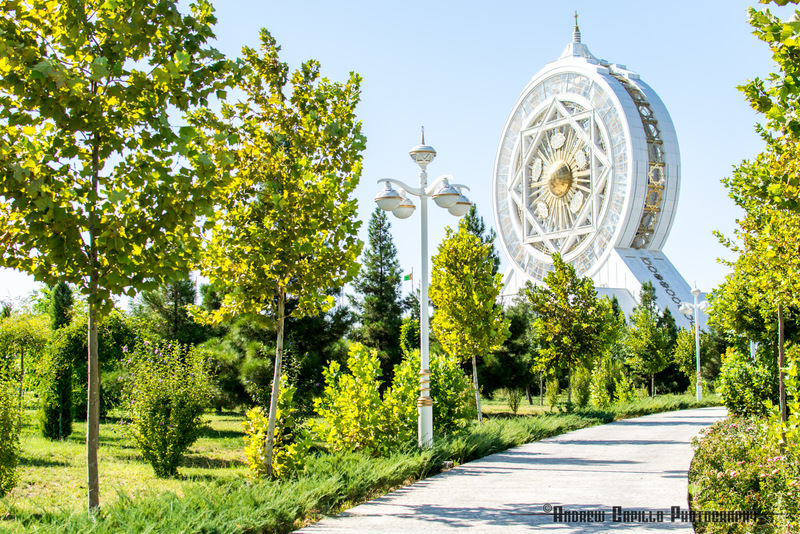 In the direction of Niyazov's golden gaze is another square, equally grand, in Golden Age Park. It features a massive image of the current president, also dressed in a business suit but without the arrogance of a cape. The portrayal of these two despots so near to one another seems to suggest that they are sharing a private joke, one above the heads of the poor population that has fueled their ambitions. 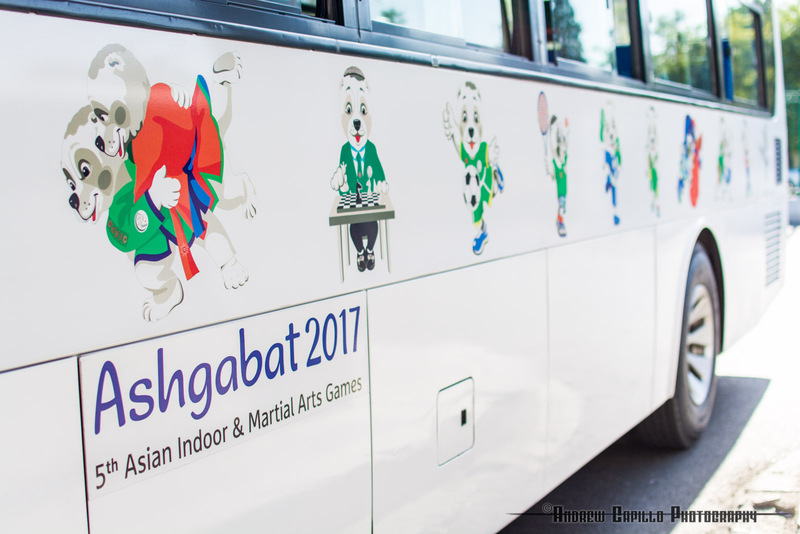 While I was visiting Ashgabat, the city was in a fluster preparing for the 5th Asian Indoor and Martial Arts Games. 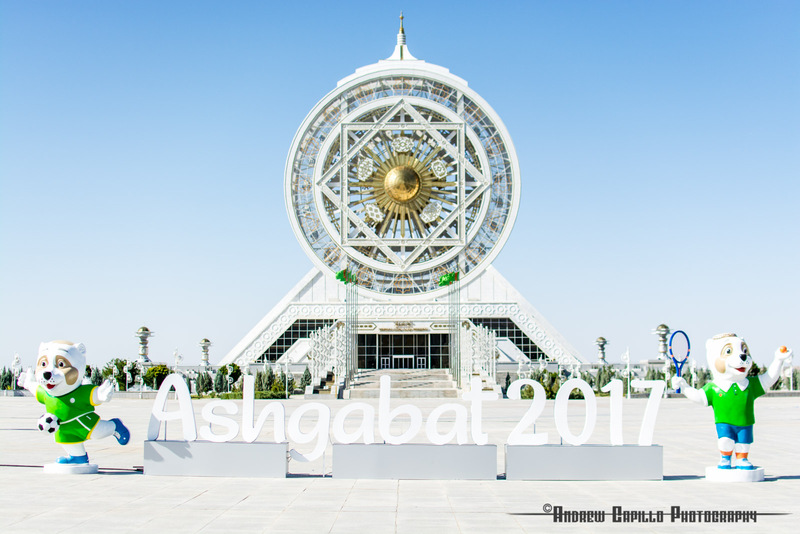 One can grasp the importance of this event in the minds of the Turkmen people by its nickname - "The Olympics." 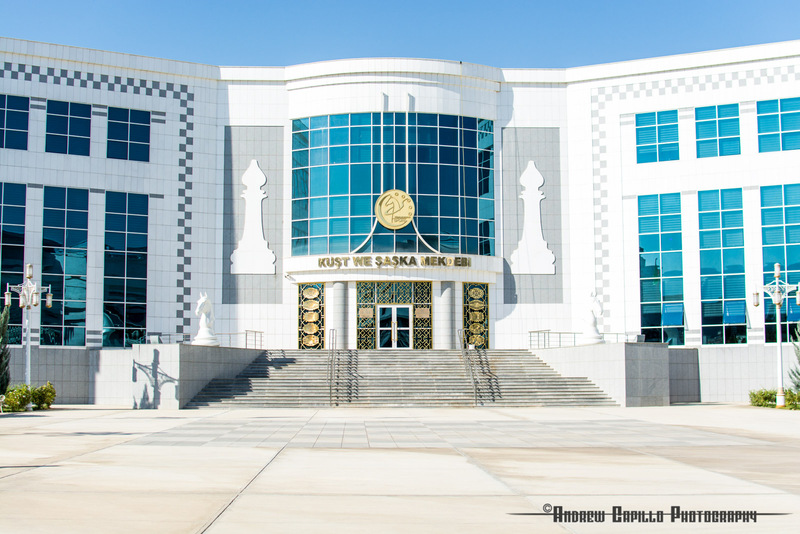 The games, which took place in the middle of September 2017, spurred the undertaking of new and impressive architecture, including a large hall built exclusively for the chess tournaments to be held. 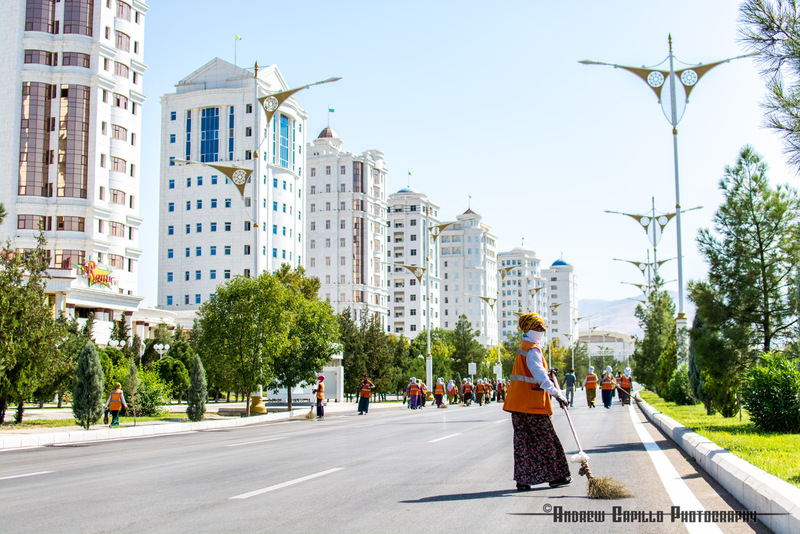 They also necessitated a sweeping facelift of the city, to which end legions of working women armed with brooms and spades took to the vacant streets and deserted gardens in the sweltering summer heat. In the center of the city, the people begin to appear on the streets and the bazaars bustle with life. 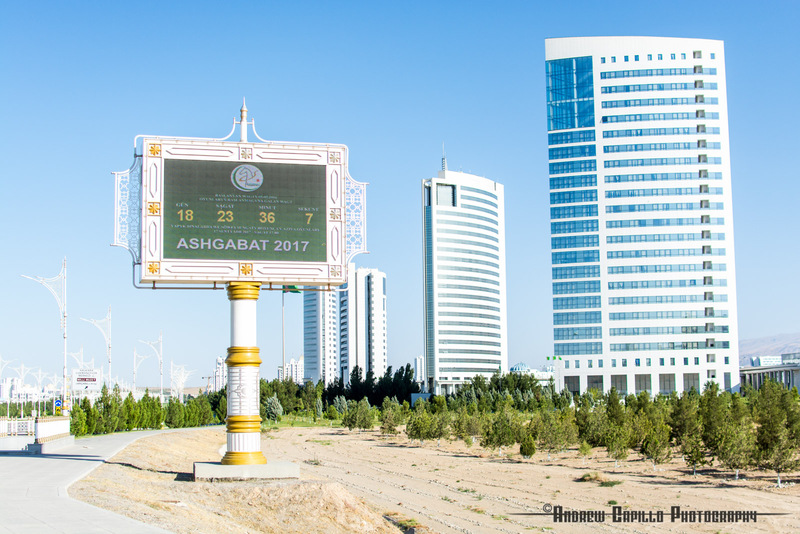 Residents of Ashgabat live in constant fear of a brutal and merciless police state. Though tourists are uncommon, people generally avoid eye contact with outsiders and only risk the occasional stealthy glance. 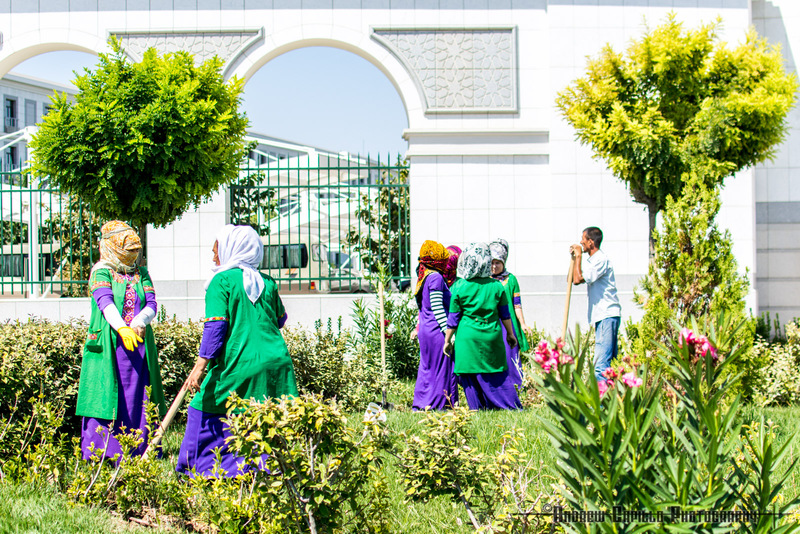 Photographing locals is difficult because most react to the request with either outrage and disgust or fear and suspicion. One lady told me in Russian, "I'm afraid. My husband would kill me." Another shouted hysterically for me to delete the photo before I'd even pressed the shutter, so great was her fear that the police would harass anyone who even appeared in a tourist's camera. One man was afraid of being disappeared if he spoke honestly about the regime and expressed any criticism of the state. Walk up to a stranger on the street and you are just as likely to meet a plainclothes policeman as a regular citizen. Secure in the knowledge that they sit at the top of the food chain, the police are suspicious of anyone, local or foreigner. 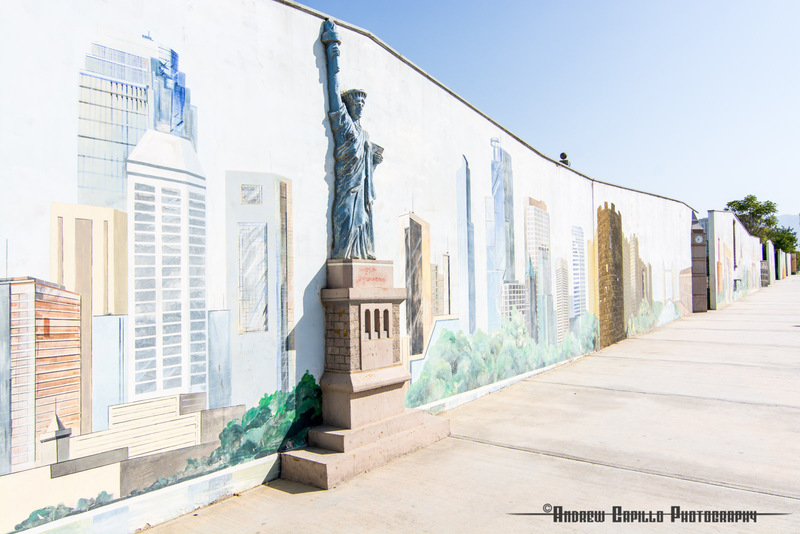 During my short stay, I was accused of spying for the American government and had to beat a hasty escape. 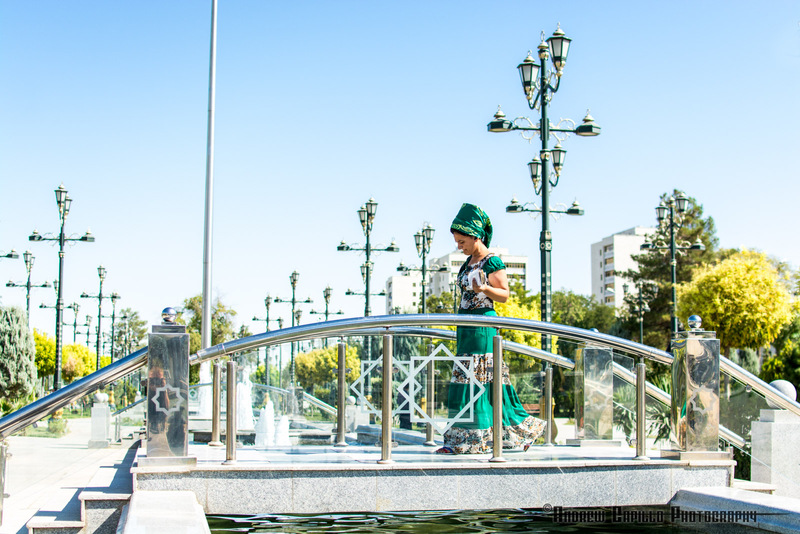 The traditional dress for women in Turkmenistan is truly breathtaking. Ankle-length caftans cut from brightly-colored silk are worn with elaborate embroidery and a gold broach on the front. 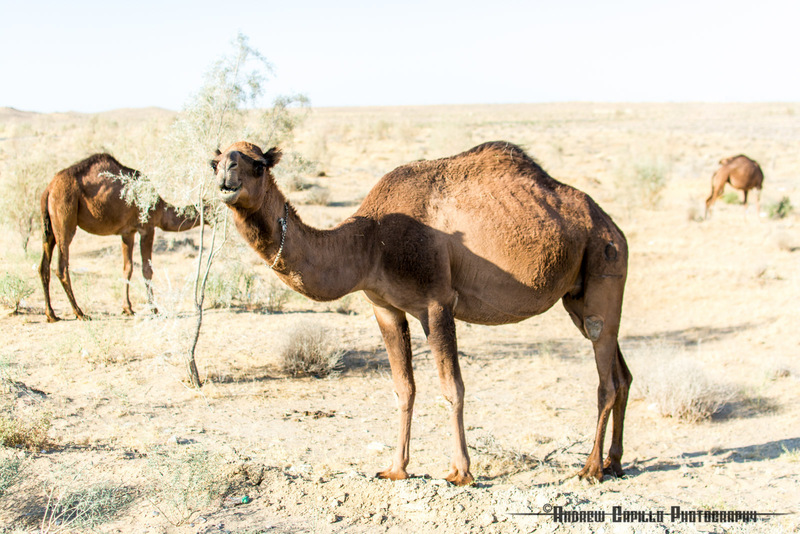 For traditionally nomadic people, gold and silver long been valued as a means of keeping wealth small and portable. 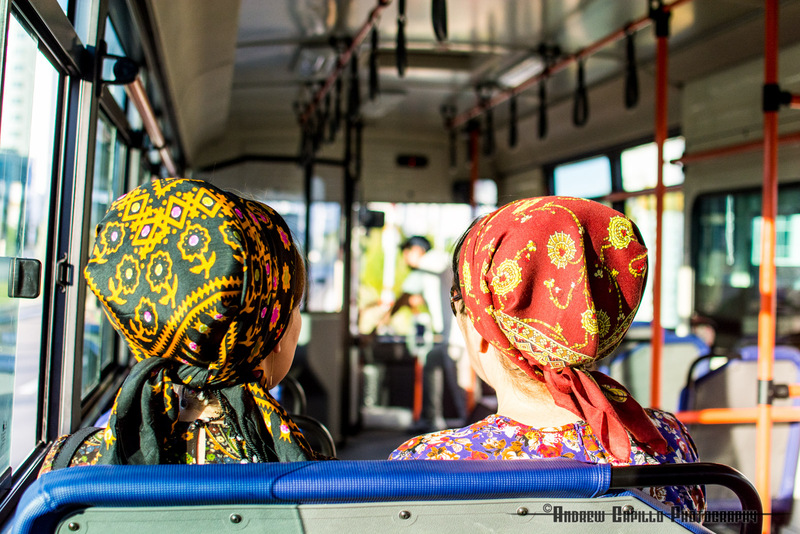 On their heads, most women wear tall hats called "kalpaks." 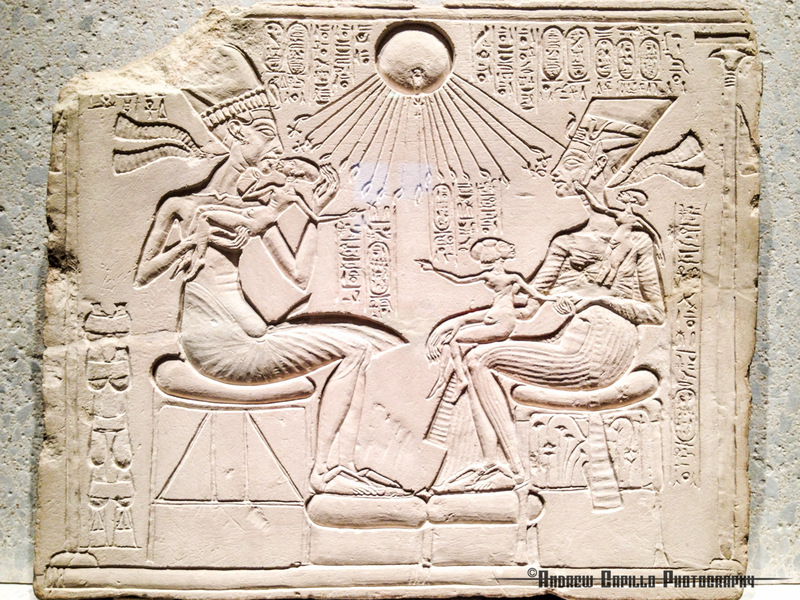 Fashioned like small cylindrical wedding cakes covered with decorative fabric, they summon to mind the images surviving of the ancient Egyptian queen Nefertari. The size and shape vary by region, with some being small and round and others large and square. 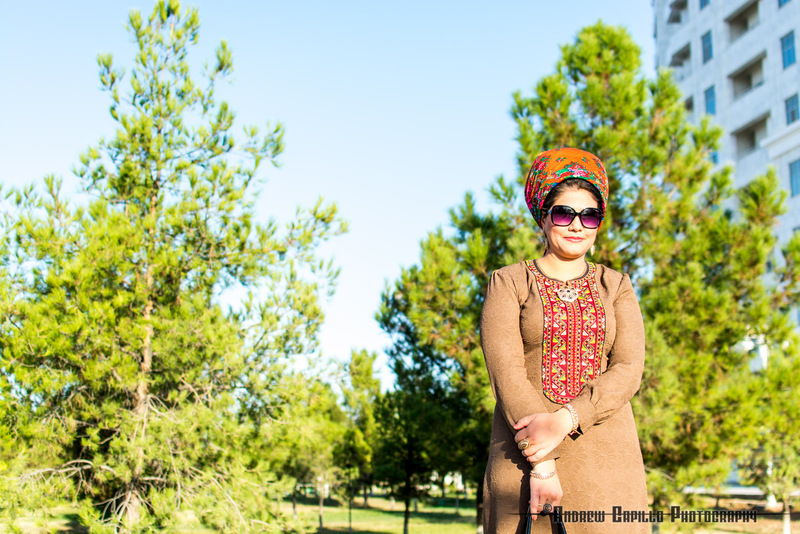 Younger women do not wear the kalpak, but have their own specific fashion. 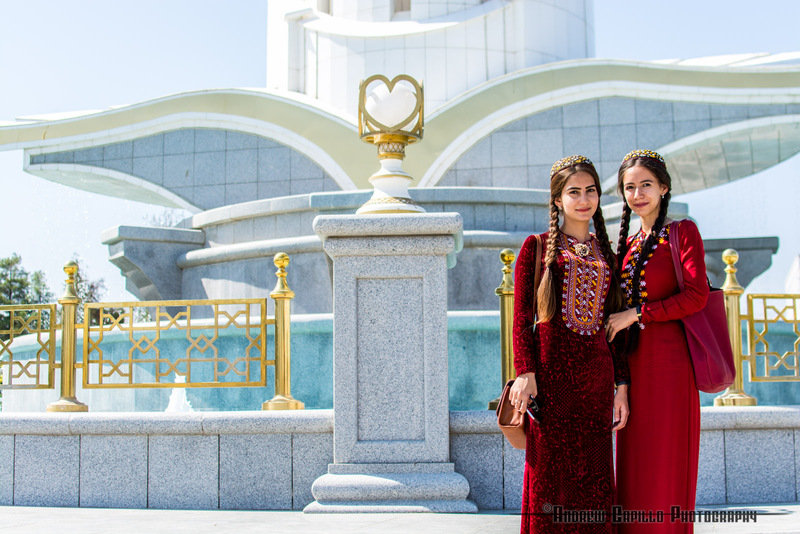 They wear a long red dress with an embroidered skull cap called a "talhya" gracing their long black hair, invariably in double braids on either side of their head to mark that they are not yet married. 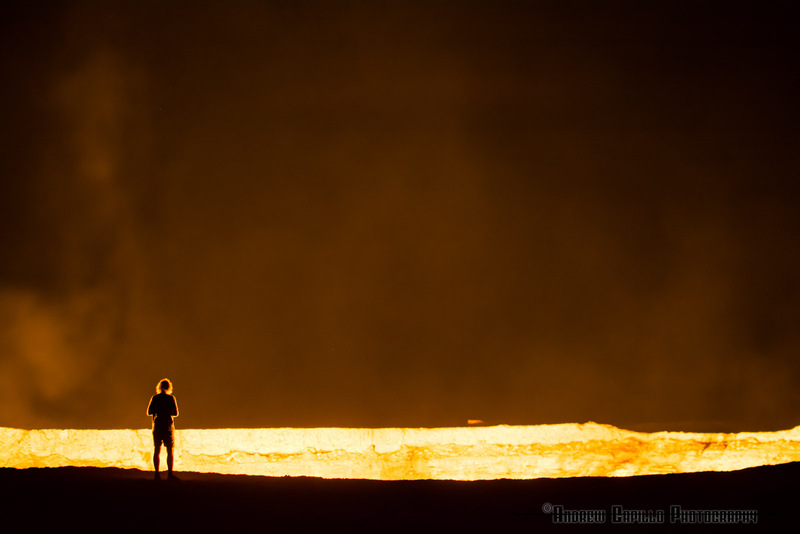 260km to the north of Ashgabat in the sprawling Karakum Desert lies Darvaza gas crater, or as it's known to the locals, "The Gates of Hell." 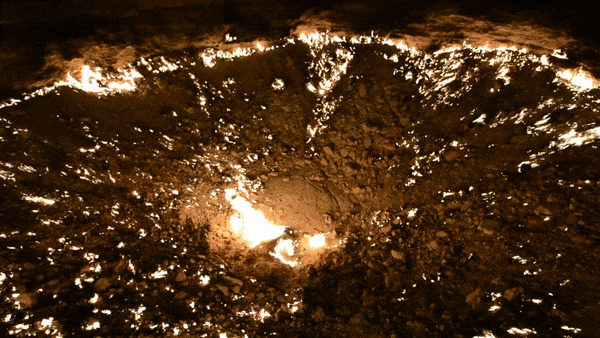 69 meters in diameter and 30 meters deep, the eternally burning conflagration was formed after a preliminary survey of the site by Soviet engineers struck a gas pocket that caused the ground beneath the drilling rig to collapse into a crater. Expecting dangerous gases to be released from the crater and to poison nearby villages, the engineers decided to burn the gas off. However, instead of burning for a few weeks as they'd calculated, it's now been raging for over four decades. Viewed from afar, the dust of the desert rises up skyward in a continuous gust of wind that creates the illusion of a bubbling witch's cauldron. 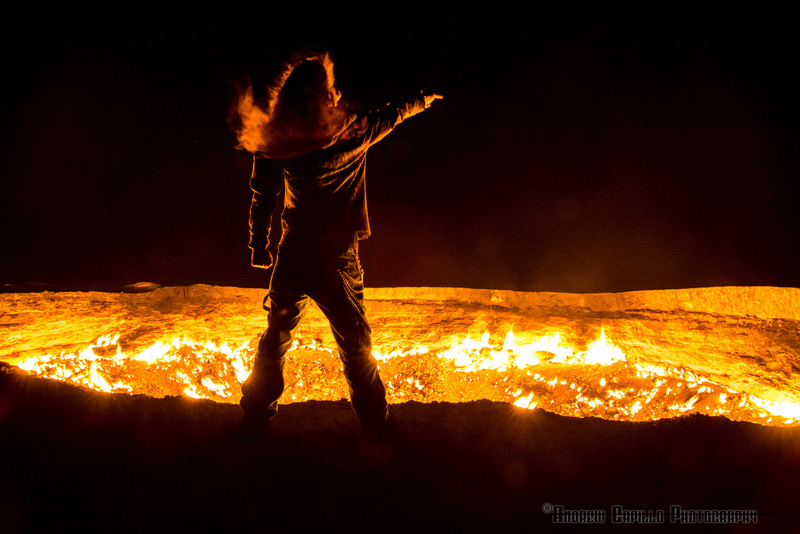 Viewed from the edge, the frenzied inferno dances and swirls and seems to be burgeoning into life. After being driven back by the searing winds that roar outwards with the deafening ferocity of a jet engine, it's hard to imagine so much intensity continuing unabated for such a long duration. Equidem beatos puto, quibus deorum munere datum est aut facere scribenda aut scribere legenda, beatissimos vero quibus utrumque. Copyright © Andrew Capillo 2017-2019. Powered by Blogger.